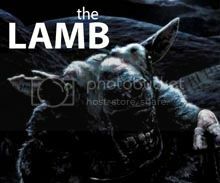 This film had to be on the list because when it came out in 2000 it was very unique and original, cheat death and he will come get you. In this teenage horror film, a young man avoids the hand of death, only to find that he can’t get away from it so easily. On the way to Paris with his high-school French club, Alex Browning (Devon Sawa) has a vivid premonition of the plane crashing and killing all its passengers. Tim’s Film Reviews Recommended. I think this film draws its strength from everyone’s basic fear of death and the great thing about this film is that it gives a death a real life presence which is scary enough but also presents death with an aggressive personality of revenge for those who cheat him. Plus you get to see stupid teens get killed in more and more inventive ways. There are three specific things I really like about this film. One it’s about zombies, well virus things or whatever. Two it’s a British horror film, go Britain! Three it has a fantastic view of an abandoned London centre which is real creepy. Animal rights activists free a group of infected chimpanzees to horrifying results in this speculative sci-fi horror effort from Trainspotting director Danny Boyle. Waking from a coma in a deserted London hospital 28 days later, bicycle courier Jim (Cillian Murphy) takes to the deserted city streets in a state of mystified confusion. Tim’s Film Reviews Recommended. The acting is top notch and the starting idea of a man waking from a coma to a world of ruin and death is great and has been used a lot since (walking dead), this is because it really works to have the main character going through the end of the world as a new person to it just like the viewer is. It’s very good also because of people going crazy and trying to kill everyone, that always works in a horror film. This film is part of an elite group of movies which not only have a werewolf but also is really good and horrific. Now I am talking ‘An American Werewolf in London’ level of good. 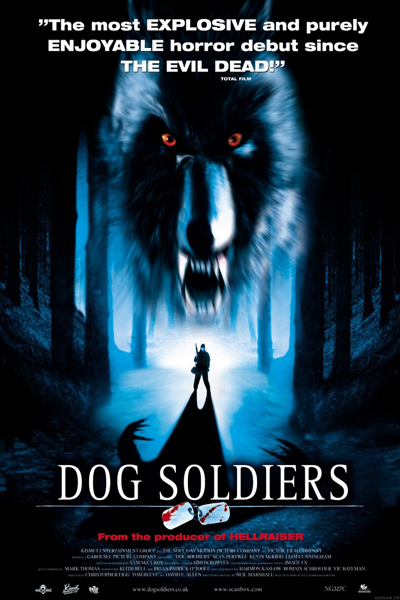 British director Neil Marshall’s directorial debut Dog Soldiers resurrects and embraces the low-budget horror-comedy. Sergeant Harry Wells (Sean Pertwee) leads a team of British soldiers on a routine expedition to the Scottish Highlands. Tim’s Film Reviews Recommended. I really love this film because it contains a great plot with brilliantly played characters and that is hard to do with a film that is basically about a special forces team fighting against werewolf’s, but it is a great watch and a must see horror film. Best review “’Jaws’, ‘Aliens’ and ‘Predator’ with a werewolf twist”. The Face. Now if you like a good brain teaser of a horror film then this is definitely for you. I still don’t know what’s going on but whatever it is I liked it. Ten strangers are brought together during a weather emergency, only to discover a far greater danger awaits them in this suspense-drama. A sudden rainstorm in a remote desert town strands a disparate variety of people at a rundown motel. Tim’s Film Reviews Recommended. So which personality committed the crime? Well I am sorry but you’ll have to watch the film to find that one out. The plot is so weird and complicated that you have to watch it all because you get so addicted to the story, and the cast do a great job of being different persona’s of one murderer. Now am not a big fan of this franchise as a whole but I have to admit that the first film was actually pretty good and was a good original piece of gore film making. The directorial debut from filmmaker James Wan, this psychological thriller comes from the first screenplay by actor Leigh Whannell, who also stars. Whannell plays Adam, one of two men chained up in a mysterious chamber. The other, Dr. Gordon (Cary Elwes), like Adam, has no idea how either of them got there. Tim’s Film Reviews Recommended. It’s basically about a sick (in both ways) but very cleaver man who thinks that some people need to be taught to appreciate life more by ironically making them kill themselves, because that of course makes lots of sense (silly Jigsaw). Not quite sure what happened to the other films. 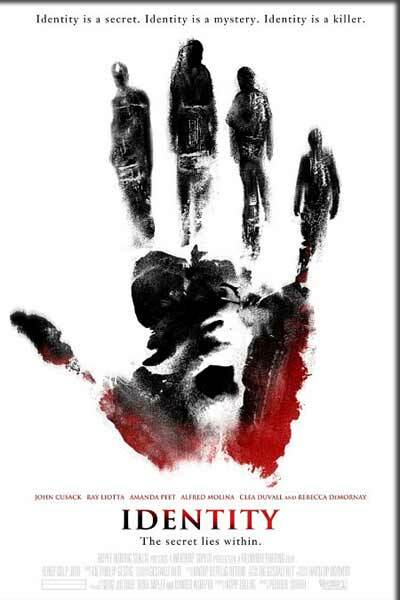 28 Days Later and Saw are very good picks. Dawn of the Dead is solid too, but Final Destination? I thought that movie was painfully boring. 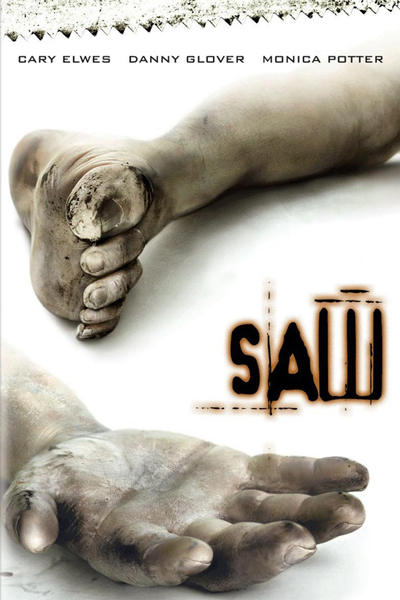 Not a fan of the Saw franchise either but totally agreed when the original came out it was pretty awesome. And Dawn of the Dead is one of the few remakes I actually prefer over the original. 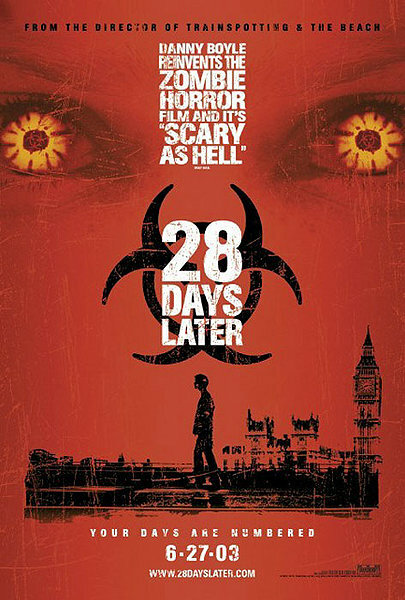 I loved (still do) “28 Days Later” the first time I saw it. It lost a bit of momentum toward the end but I distinctly remember feeling shaken. It was a zombie movie that feels, I don’t know, potent? I also like “Saw” as one of your picks. With its sequels ranging from mediocre to terrible, it’s easy to forget how great the first one really is. I remember having a dream once about cleaning that bathroom. It was so dirty! Ah! Ha yeah that would be a hellish job, so which did u vote for saw or 28 days later? The Fourth Kind best be on part 2! Final Destination was very fresh and original. Too bad like most horror franchises (Saw included) that it overstayed its welcome. 28 Days Later is definitely my favorite on this list since I love zombies (or zombie-like creatures) and Danny Boyle. If you’ve never seen Boyle’s movie Sunshine, I highly recommend it. It’s an interesting blend of sci-fi and horror, as well as one of the prettiest films I’ve ever seen. Dawn of the Dead is a solid remake and deserves to be on the list, but I still like the original better. Final Destination was very original and fun. I love Danny Boyle as a filmmaker so 28 Days Later is definitely my favorite on your list. If you’ve never seen Boyle’s movie Sunshine, I highly recommend it. Sunshine is an interesting mixture of sci-fi and horror that’s easily one of the prettiest movies I’ve ever watched. 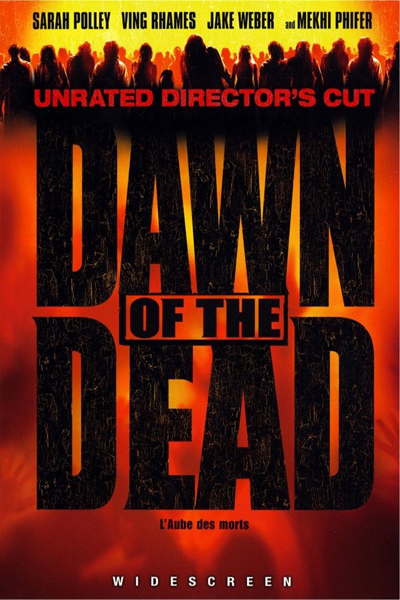 Dawn of the Dead is also a great one to include, and while it’s a solid remake, I still like the original much better.